Just 5 little multi purpose products that will fit perfectly in your hand luggage. Now I’m not saying I’m a pro packer. Me and my boyfriend spend numerous weekends away in England and I spend at least a day packing up my makeup prior to the journey. My god, it’s even an ordeal when I stay over and we have something planned for the next day. If one product comes with, then they ALL have to follow. I’m a nightmare. But we’re off to Hamburg on Thursday (I’m just tooo excited) so I’m limited in the amount of space and things I can take. (Hello hand luggage only.) I’ve had a sit down with myself to really think through the products I’m going to need to take. It’s a city break, meaning I’m going to be constantly on the go, so I want my makeup bag to reflect this. I don’t want it to be over packed but instead, filled with some versatile products that can be used for a mixture of things. All whilst fitting inside my hand luggage. Obviously I’m taking more than 5 products with me, I wish I was that low maintenance (which there is nothing wrong in being, I really do applaud you lovely people) but these are ones that will make up the basis of my travel beauty bag. If you’re familiar with my blog then you’ll know my love for beauty blenders. I love applying my base and anything else with them because they just blend everything so seamlessly. So it’s going straight into my bag. It can be used for applying primer, foundation, cream blush, cream highlighter, you name it. Give it a little clean in between each use and in my dream Kate-on-tour world, its the only makeup tool I’ll need! 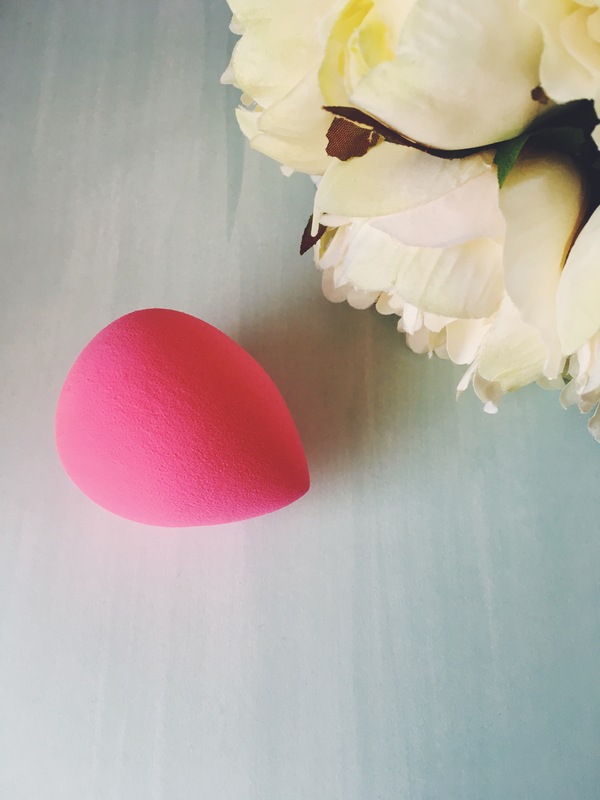 The beauty blender pictured is from the ‘B.’ brand from Superdrug. (Latex free!) I love these beauty blenders along side the Real Technique Miracle Complexion Sponge. Next is something to cure the signs of perhaps a longer flight, or the early mornings and long nights. This is a recently new product that I’ve been trying out from a brand I’m not really too familiar with but has come into the limelight quite recently over on ASOS. 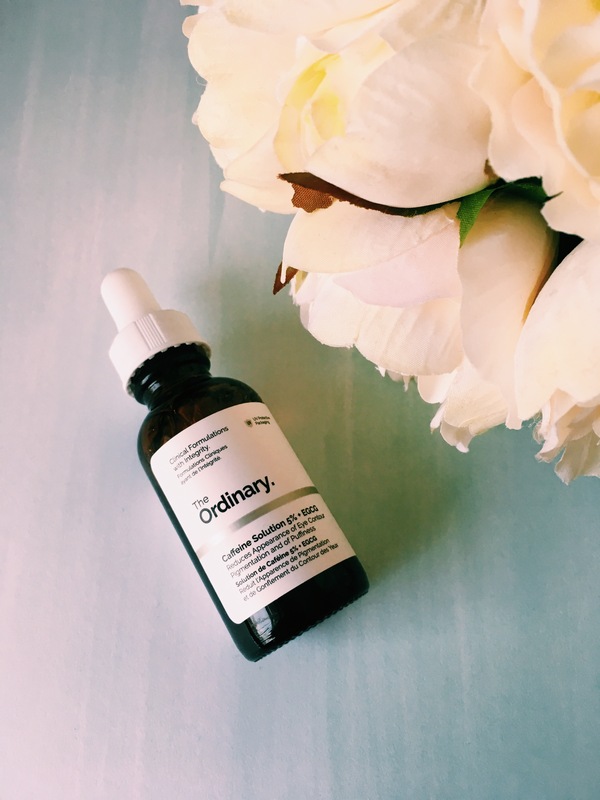 A more in-depth review may possibly be in the pipeline but for now…this is the ‘Caffeine Solution 5%’ by The Ordinary. Its aim is to reduce the appearance of eye contour pigmentation and puffiness. Its a mixture of a caffeine and green tea solution and just helps to soothe the eyes. I don’t know about you but plane journeys just drain my skin of any hope and dreams – it becomes pale, dull, dry and even a little puffy. So I’m going to try and combat that by keeping this close. If I feel like my whole face needs a little lift then I can put a few blobs all over it morning and night too. Eye cream AND face moisturiser in ONE. How about that for multi-tasking. My ‘Pixi Glow Mist’ is one of my favourite products. I use it any time of day. This is a really great product if you do forget your moisturiser because it acts exactly like one and doesn’t feel heavy on your skin. It’s also great for a makeup fixer and a skin refresher for throughout those long tourist days. It’s mixed with propolis and argan oil and it just leaves your skin feeling soft and revived. Voila! Next is the ‘Dr Paw Paw’ Balm which literally is the queen of multi purpose products. 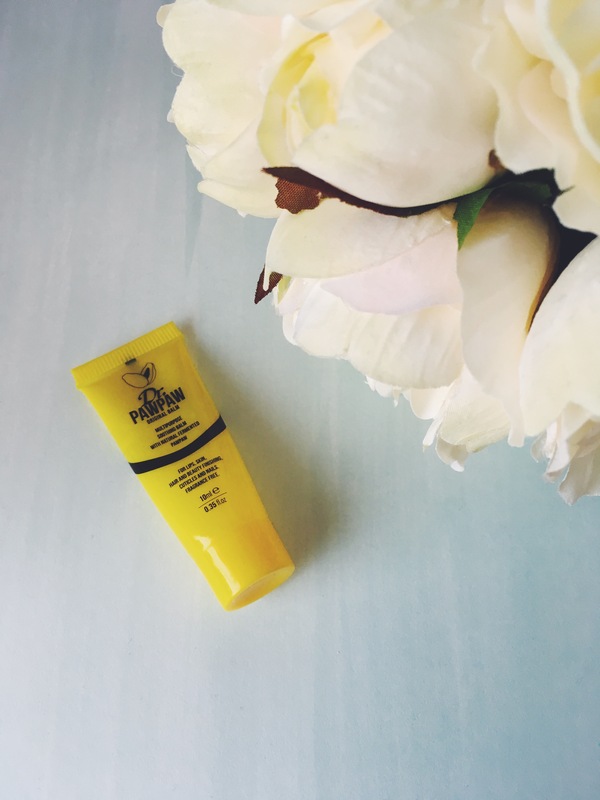 I feel like everyone should have a little multi purpose balm in their bag at any given time and this little tube is the perfect size to carry around and not waste space. I use it for my lips, my cuticles, my hands. It can even be used on hair (I assume to keep strays under control). It really is a great product. This cute 10ml tube cost me £2.50 from Primark. Bargain. 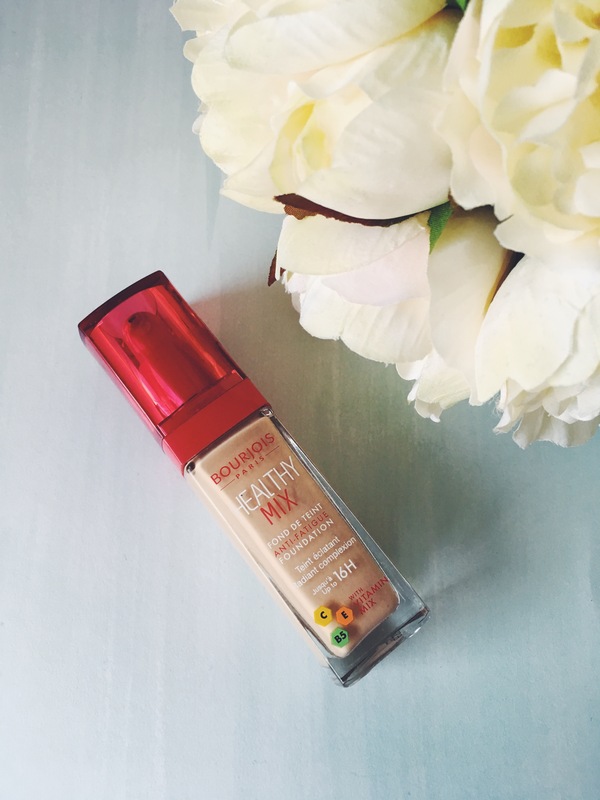 For me, the Bourjois ‘Healthy Mix’ Foundation is the perfect foundation which can be used day and night. It’s amazing in the day when I mix it with an illuminator for a more dewy, natural look as I want to be feeling fresh faced and not cakey during my trip! Then for the night, its perfect to build upon to create a full coverage base but still makes your skin look illuminated. I used to have 2 or 3 foundations in the mix for when I would do day looks and night looks, but for my trip to Hamburg, I know this foundation will do the trick for both! I think it’s so important to carry a hand cream around with you at all times. Especially for me, since my eczema can spread all the way down to my hands and knuckles so the more moisturised they are, the less itchy they get! 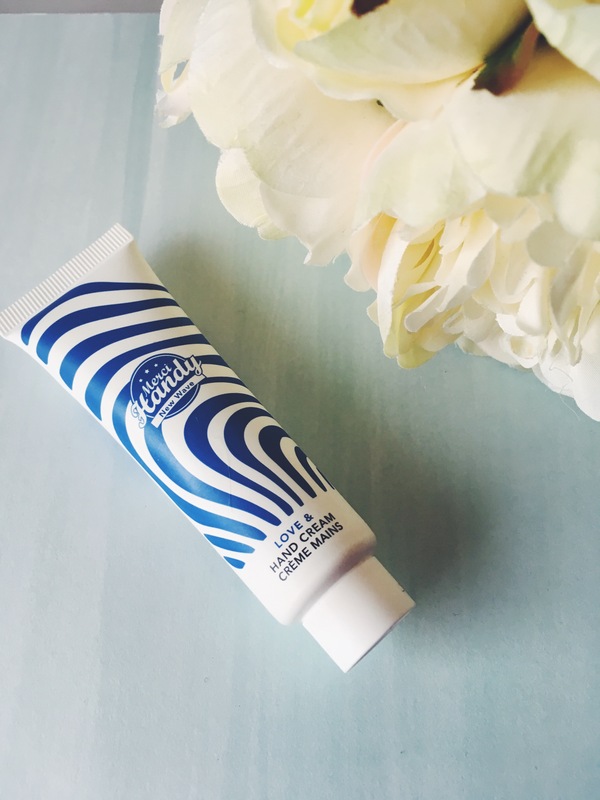 This hand cream pictured below is one of my faves. I received it in a Birchbox and it literally is the most divine smelling product ever. I physically want to eat it. What are you essentials when packing for a weekend trip away! ?